The Government has announced plans for a major overhaul of the National Planning Policy Framework (NPPF), including a new housing delivery test 'focused on driving up the numbers of homes actually delivered in their area, rather than numbers planned for'. The Government said the changes will also see developers 'held to account for delivering the commitments, including affordable housing and the infrastructure needed to support communities'. The two part consultation also includes plans for reforming developer contributions to affordable housing and infrastructure, including widespread reforms to Section 106 agreements and the Community Infrastructure Levy. The Government said: 'Local authorities will be encouraged to work together and continue to close the gap between planning permissions granted and homes built. Housing secretary Sajid Javid recently reiterated threats that councils in England could be stripped of planning powers if not enough homes are being built in their areas. Mr Javid told the Sunday Times he would be 'breathing down' the necks of local authorities to ensure building targets set by the Government are met. 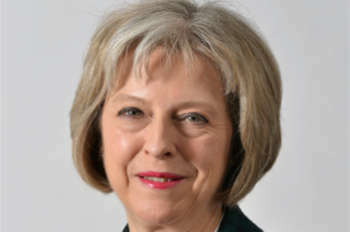 In a speech today to launch the plans, prime minister Theresa May, said: 'This Government is rewriting the rules on planning. With the major overhaul being published today, we’re giving councils and developers the backing they need to get more homes built more quickly. 'We’re streamlining the planning process, so that much-needed homes aren’t held up by endless appeals and bureaucracy. We’re making it easier for neglected and abandoned commercial sites to be turned into housing. 'And we’re making sure councils do all they can to find sites, grant planning permissions and build homes. That includes creating a nationwide standard that shows how many homes authorities need to plan for in their area – making the system fairer and more transparent. Major bodies have written to Mr Javid to say that the Government’s proposed Statement of Common Ground (SoCG) does not go far enough to ensure that infrastructure matches housing development in England’s 27 shire counties, to foster job creation and growth. A joint letter was signed by the County Councils Network (CCN) the Home Builders Federation (HBF), the Town and Country Planning Association (TCPA), the Chartered Institution of Highways and Transportation (CIHT), the Association of Directors of Environment, Economy, Planning, and Transport (ADEPT), and the Association of County Chief Executives (ACCE). They said the draft SoCG is a ‘toothless instrument’ in its current guise and must be strengthened to include a more prominent and formalised role for the county council. The draft SoCG was announced as part of a package of planning reforms in the Housing White Paper early last year, encouraging county councils, responsible for major infrastructure such as roads and schools, to work closely with their local district councils who are responsible for housing and planning. However the six national organisations argued that there is not a strong enough requirement for both sets of councils to formally work together. The county should be a formal signatory to matters relating to infrastructure, economic growth, education, and social care, and should not be implemented until the county council signs in agreement,' the organisations argue.